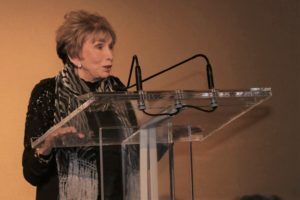 The Choice: Embrace the Possible by Dr. Edith Eva Eger wins the National Jewish Book Award in the Krauss Family’s Biography, Autobiography, and Memoir category. The National Jewish Book Awards is the longest-running awards program of its kind and were established by the Jewish Book Council in 1950 in order to recognize outstanding works of Jewish literature. The winners of the 2017 National Jewish Book Awards were honored on March 6, 2018 at a gala awards dinner and ceremony at the Prince George Ballroom in Manhattan.